More details will follow soon, but in the meantime you can purchase a single from the album by following the link below. 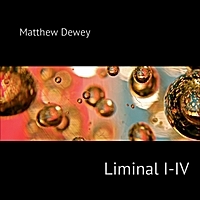 The single, Liminal I-IV, was written for an installation created in collaboration with artist and graphic designer Tonya Meyrick that premiered at the Salamanca Arts Centre in Hobart during late 2011. Within the context of ritual passages, a key feature of liminality is the final stage of reintegration, in which the initiand is recognized as a part of the social order and is welcomed into that order with a new role, “stamped by the formative experience”.